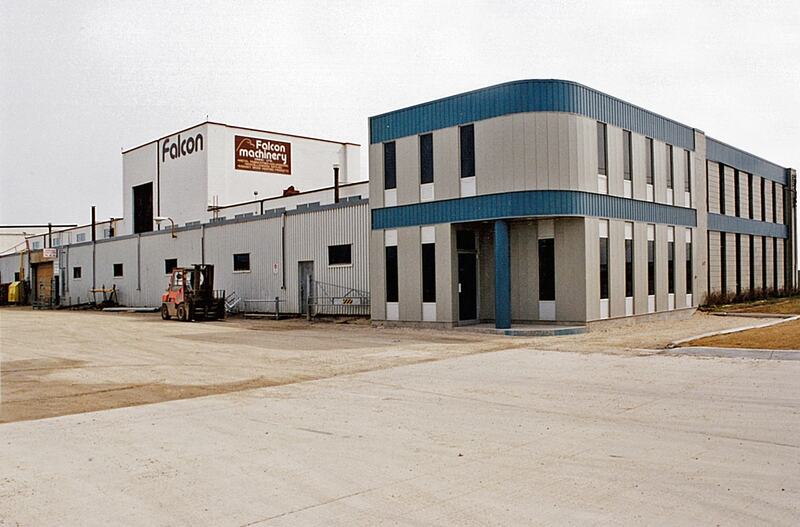 Falcon Machinery is primarily a custom metal fabrication company. They offer metal processing services such as saw cutting, machining, plasma cutting, welding, etc. They also have a hot-dip galvanizing facility. A 4,800 square foot addition was added to the existing structure to increase this custom metal fabrication company’s capabilities to manufacture and supply their specialized industry. In addition to metal fabrication, the building accommodates saw cutting, machining, plasma cutting, shearing, punching, forming, and welding. A focal point added by the new office space was also created by rounding the exterior corner and adding blue metal cladding.